Summit White 2019 Chevrolet Spark LS FWD CVT 1.4L DOHC All prices include all available Incentives. Price is valid for 24 hours. Tax, title, license, doc fee extra. While we try to ensure online merchandising accuracy;dealer not responsible for website errors. Please call to verify price. 30/38 City/Highway MPG Pricing includes all available rebates, dealer is not responsible for any pricing errors. Please call for pricing and availability. Silver Ice Metallic 2019 Chevrolet Spark 1LT FWD CVT 1.4L DOHC All prices include all available Incentives. Price is valid for 24 hours. Tax, title, license, doc fee extra. While we try to ensure online merchandising accuracy;dealer not responsible for website errors. Please call to verify price. 30/38 City/Highway MPG Pricing includes all available rebates, dealer is not responsible for any pricing errors. Please call for pricing and availability. Red 2019 Chevrolet Spark 1LT FWD CVT 1.4L DOHC All prices include all available Incentives. Price is valid for 24 hours. Tax, title, license, doc fee extra. While we try to ensure online merchandising accuracy;dealer not responsible for website errors. Please call to verify price. 30/38 City/Highway MPG Pricing includes all available rebates, dealer is not responsible for any pricing errors. Please call for pricing and availability. Silver Ice Metallic 2019 Chevrolet Sonic LS FWD 6-Speed Automatic 1.4L 4-Cylinder Turbocharged All prices include all available Incentives. Price is valid for 24 hours. Tax, title, license, doc fee extra. While we try to ensure online merchandising accuracy;dealer not responsible for website errors. Please call to verify price. 26/34 City/Highway MPG Pricing includes all available rebates, dealer is not responsible for any pricing errors. Please call for pricing and availability. Summit White 2019 Chevrolet Sonic LT FWD 6-Speed Automatic 1.4L 4-Cylinder Turbocharged All prices include all available Incentives. Price is valid for 24 hours. Tax, title, license, doc fee extra. While we try to ensure online merchandising accuracy;dealer not responsible for website errors. Please call to verify price. 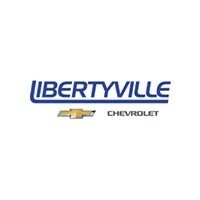 26/34 City/Highway MPG Pricing includes all available rebates, dealer is not responsible for any pricing errors. Please call for pricing and availability.